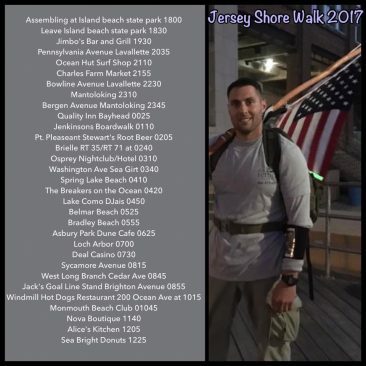 What is the Jersey Shore Walk? 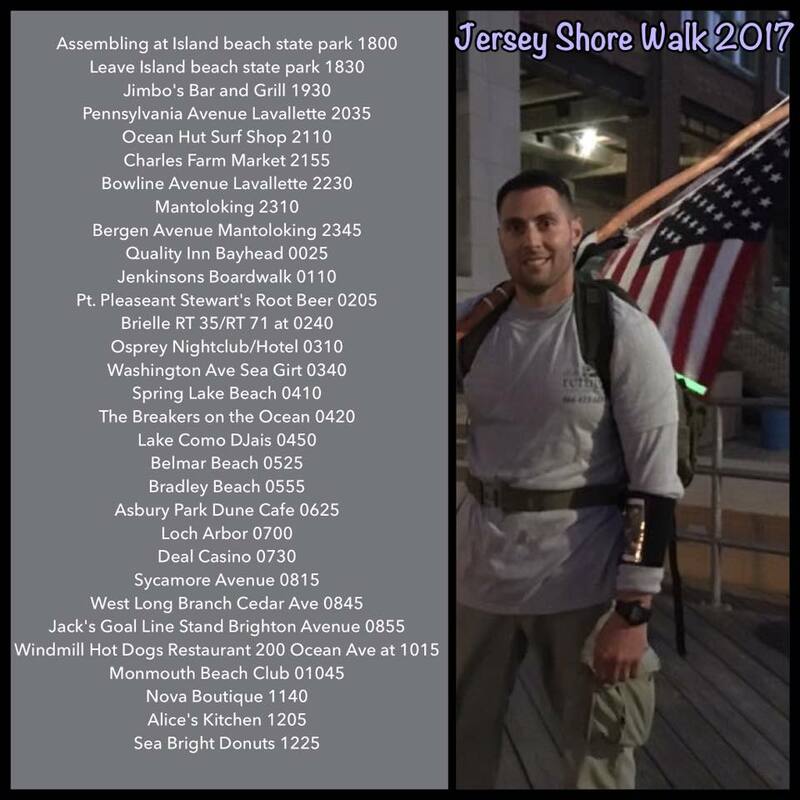 Unbroken Warriors will set off again to walk 45 miles of the New Jersey Coastline, following Ocean Avenue from Island Beach State Park to Sandy Hook. 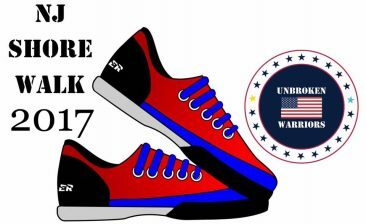 We will be raising awareness and funds to help veterans afflicted with PTSD. Michael Dowens, a police officer/US Navy veteran, will lead the Unbroken Warriors Walk again. 🇺🇸Why will you be stopping along the way? We have been passing on the 22 Push-Up Challenge on social media and want to continue to call attention to the number 22. Generous businesses along the route have made donations and we will make a stop at their establishments. 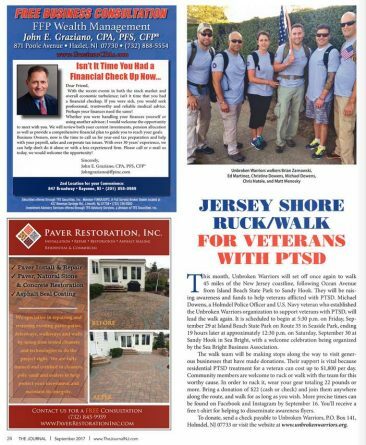 Their generosity is important to us because residential PTSD treatment for a veteran can cost up to $1800 a day! 🇺🇸Want to Ruck or Walk? We will begin walking in South Seaside Heights, NJ. on Friday, September 29th in the early evening and we will finish approximately 19 hours later in Sea Bright, NJ. To ruck it, wear your gear totaling 22 pounds or more! 🇺🇸Bring a donation of $22 (cash or check) and join us anywhere along the route. Walk with us for as long as you wish!! More precise times will be located on Facebook and Instagram by September 16th. You’ll receive a free t-shirt for helping us disseminate awareness flyers. 🇺🇸Want to celebrate? Come party with us at 1:00 Sept. 30th at the United Methodist Church’s hall in Sea Bright hosted by Nova Boutique and the all the Businesses in the Sea Bright Business Association. 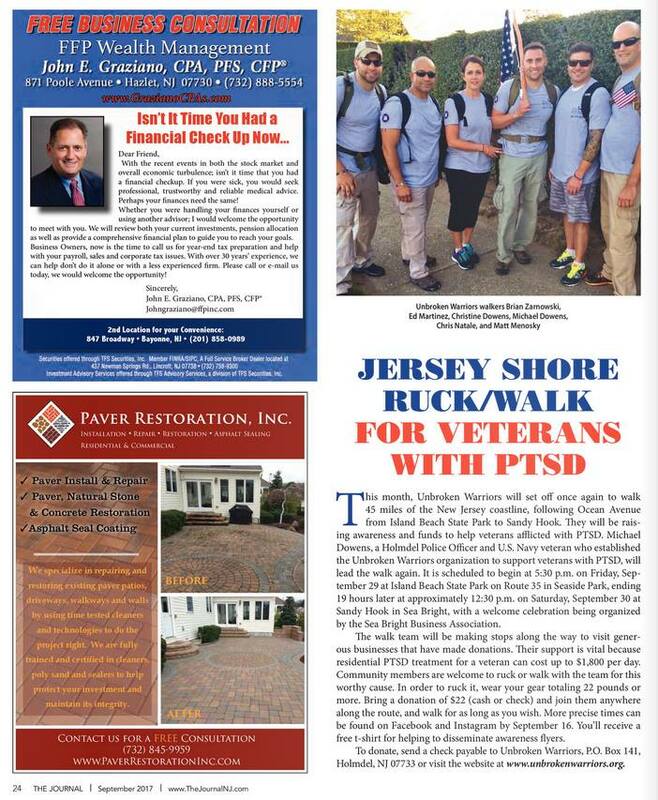 Send a check payable to Unbroken Warriors, PO Box 141, Holmdel, NJ 07733. Or, click here to use our online form.